United States Coast Guard flight mechanic Alan Maloney looks over storm damage in Oak Grove, La. 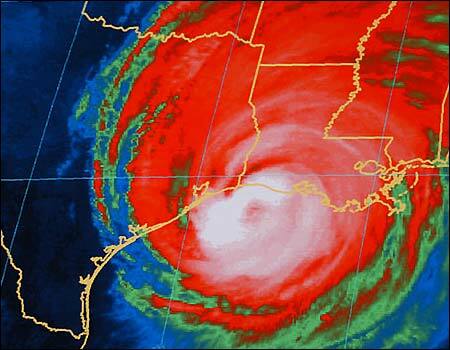 September 23: Hurricane Rita as seen in an infrared satellite view late Friday. 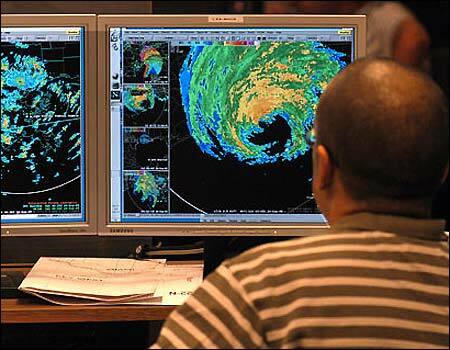 September 23: A forecaster monitors Hurricane Rita as it nears landfall. 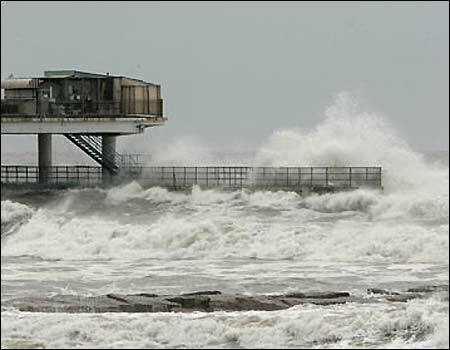 September 23: Waves break near a Galveston, Texas, pier. 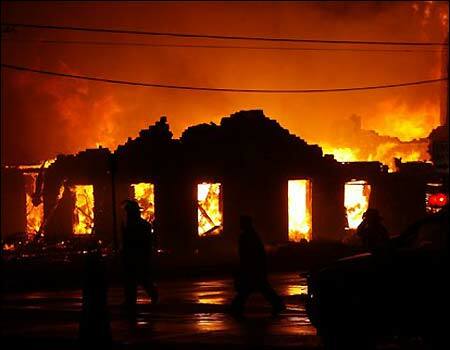 September 23: A fire burns in downtown Galveston, Texas. 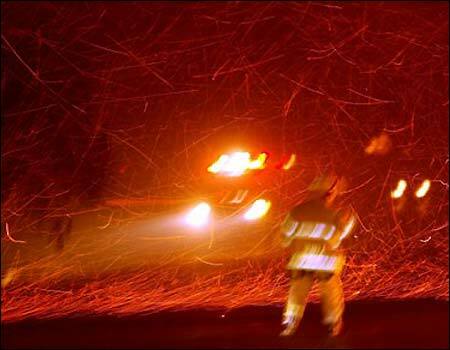 September 23: Embers from a fire in Galveston, Texas swirl in the wind.